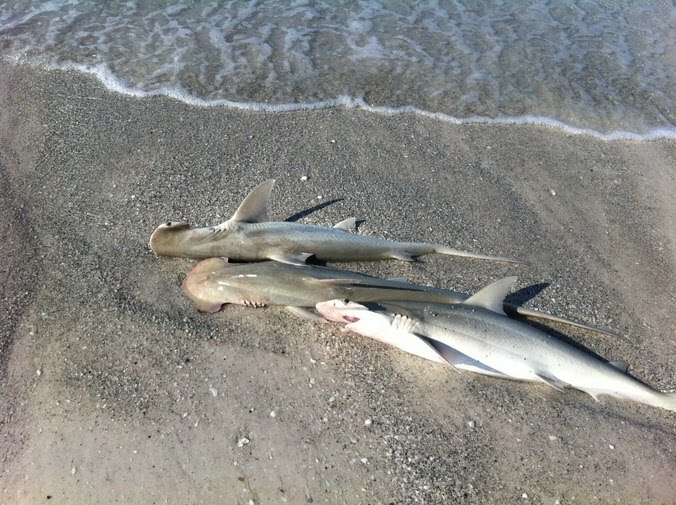 A mystery is brewing on Manatee County's beautiful beaches -- researchers are trying to figure out why sharks are washing ashore dead. 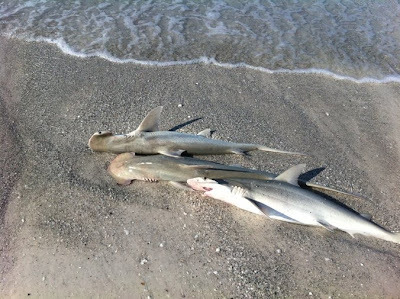 Recently more than a dozen dead sharks were found on the north ends of Longboat Key and Anna Maria Island. "There were no real indicators of what went wrong with them," Dr. Nick Whitney, Staff Scientist for the Center for Shark Research at MOTE Marine Laboratory said. "There are no obvious signs of damage from fishing or net damage or anything like that." The species of sharks found were bonnetheads, blacknose and sharpnose. Whitney said he's ruled out the possibility that the sharks died as a result of last year's oil spill. "Oil spill is pretty unlikely because these animals tend to be coastal," said Whitney. "They move up and down coast, but they wouldn't tend to go off shore and in deep water where oil is." For now, Whitney says what happened to these sharks remains a mystery. Researchers have sent samples from the sharks to a different lab to try and see if red tide killed them. However, they say this is highly unlikely since they have not detected any red tide in the area. MOTE researchers say finding a dead shark now and then is not rare, but it is uncommon to find a group of them dead within a few days.